UAE surpassed Nepal by 63 runs today at Zyed Sheikh Ground. UAE were asked to bat first by Nepal after winning toss early in the morning today. Nepal had started their bowling on script writing way. Everything was going as per their will. 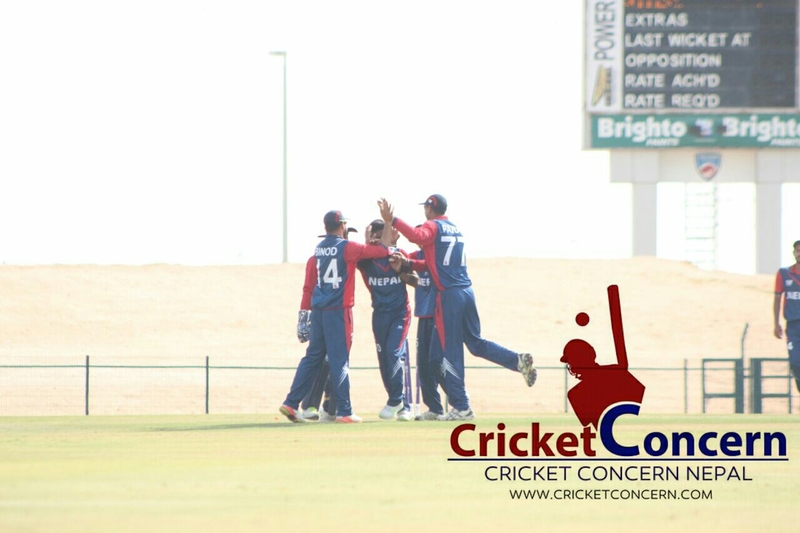 Sompal Kami and Lalit Bhandari duo had destroyed the backbone of UAE top order. 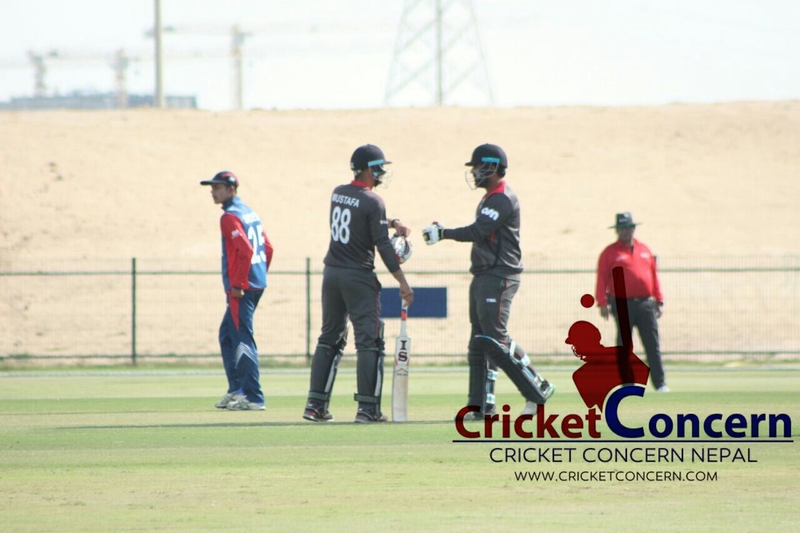 Although UAE stand back again with Adnan Mufti and co. and post the modest total of 195 on the board. Adnan MuftI scored 104 runs off 89 balls with the help of 3 sixes and 8 four at the strike at of 116.85. Mohammad Boota also gave him a company with 73 ball-37 runs. For Nepal, Sompal Kami took out best of his syllabus and picked five wicket in his 10 over of bowling. Lalit Bhandari, Paras Khadka, Sagar Pun and Sandeep Lamichhane too succeed to grabbed a wicket each. In reply Nepal started off their inning in steady way. They lost their one of opener Dilip Nath in 3rd over itself on duck. Gyanendra Malla tried his best and hung on crease for 90 ball for his 42 runs. Binod Bhandari and Sagar Pun also scored 25 and 21 run respectively. 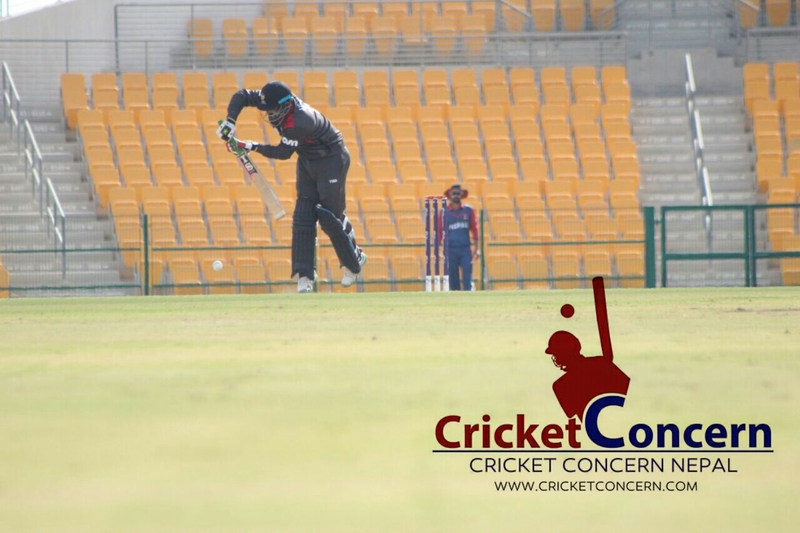 For UAE Amjad Javed took maximum three wicket where Rohan Mustafa, Mohammad Naveed and Imran Haider grabbed two wicket each. Ahmed Raza also succeed to took a wicket. Nepal had finished off ICC WCCl 2015-17 on 7th spot with 9 points just above Namibia. Netherland won the title of this edition. Netherland, Scotland, Hong Kong and PNG succeed to qualify for ICC World Cup Qualifier 2018 where Kenya, UAE, Nepal and Namibia demoted to division two.